We offer a relaxing and welcoming environment for families and are proud to offer accommodations for parents so you don’t have to sacrifice self care. 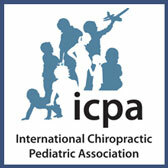 Our office provides a caregiver two days a week for children while their parents are being seen by our chiropractor. If you would like to visit our office, feel free to contact us today at (423) 227-8831. Call Hixson Chiropractic, LLC to request an appointment or to request additional information about our services. We look forward to hearing from you.